Staying in comfort is what a vacation is all about. 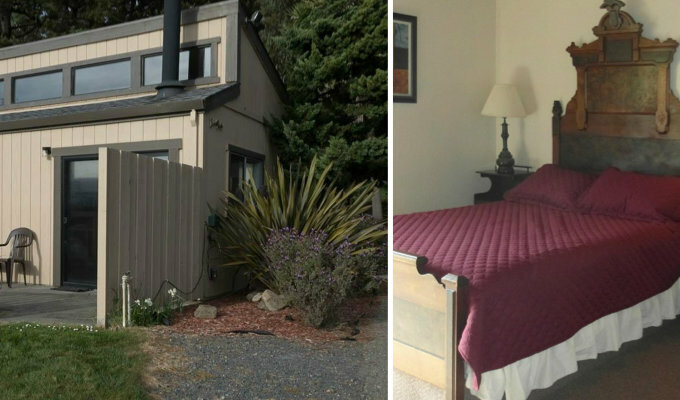 When you head to Bodega Bay, that time off should bring together the best of the area including food, comfort, and that beachy California vibe. Unlike Sonoma or Napa, Bodega has a slower pace befitting those looking for some true R&R. We’ve rounded up some of the best hotels for your time away. 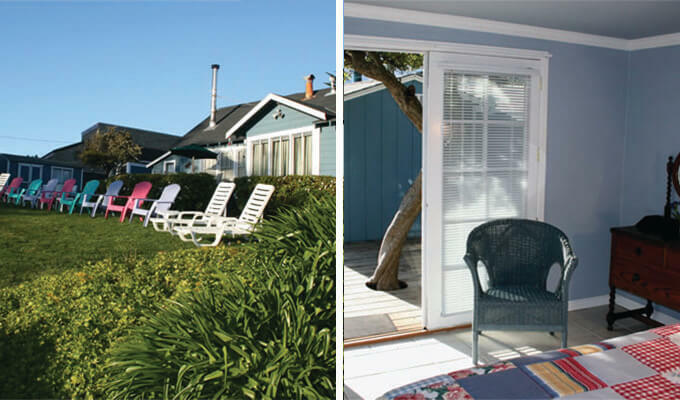 If you’re the type that wants to be surrounded by nature, Bodega Harbor Inn may is an idyllic getaway. Cottages dot the coast along the bay for a private feel and for those who enjoy the more traditional, there are, of course, rooms at the inn itself. If making new friends is in order, it will be a cinch, among the colorful lawn chairs where new neighbors can sit for hours, chatting and sipping the night away while staring at the bay’s pristine waters. For chefs on the go, there’s a grocery store within walking distance of the Bodega Harbor Inn. Cook in, and disconnect completely if you’re in the mood. When a check in includes a complimentary bottle of wine, you know it’s going to be a fun stay. The rooms are traditional, laid-back, and quiet, and the free breakfast across the street at The Tides Wharf goes beyond the typical continental spread diners (think grilled snapper and oysters benedict). Depending on your room’s location, a walk to the beach or the bay is a brief one. Of course, you can also just sit back and relax in the hotel’s jacuzzi or pool situated on the sprawling and well-maintained grounds. Ditch the alarm clock—the morning fog horn is a local way to meet the day. 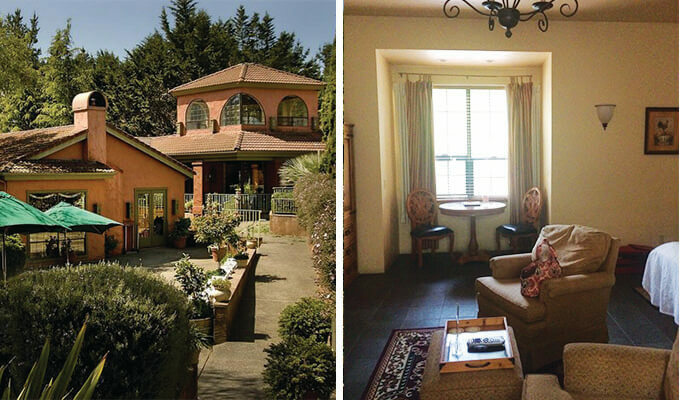 Head off the beaten path and stumble upon Sonoma Coast Villa & Spa, an Italian-style hotel that hosts a spa, quaint Continental restaurant, and large, comfortable rooms befitting a romantic getaway. 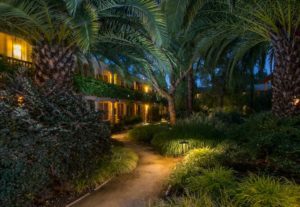 Hotel owner and executive chef Johannes Zachbauer runs the hotel with his wife, Ingrid, and both succeed in bringing a touch of Europe to the Sonoma coast. Kick off your shoes—the floors are heated. 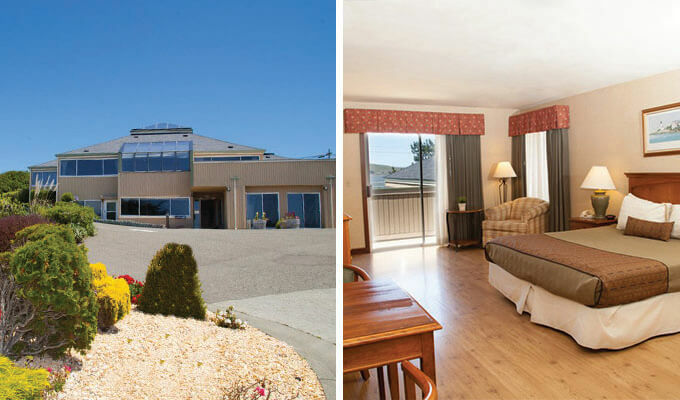 With packages for whale watching, horseback riding, and bird watching, boredom isn’t an option at the Bodega Coast Inn & Suites. Rooms are traditional and cozy, with several offering fireplaces for chilly beach nights. With the shore mere steps away from the front door, pack a pair of flip flops and a bathing suit. Of course, if it’s the off season, prepare for a chance to see the whales on their journey from Alaska to Mexico between January and April, right outside the window. Head about three minutes out to Lucas Wharf for some amazing oysters and a glass (or two) of wine. 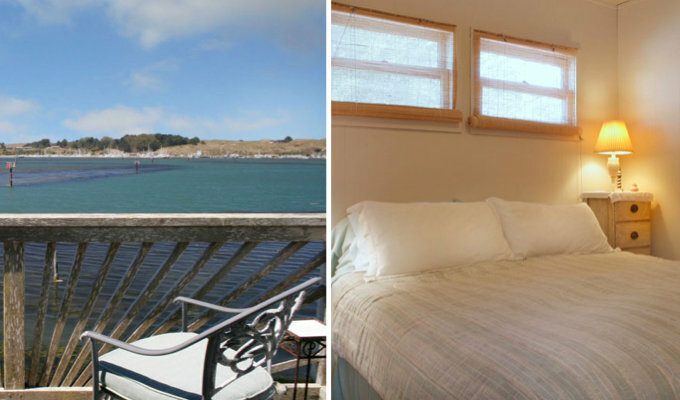 These vacation rentals are right on the water, for those who prefer to create their own adventure while on a getaway. The furnished homes—either one-bedroom, one-baths to two-bedroom, one-baths—are eclectic, charming, and acres away from run-of-the-mill. Stores, including a deli and grocer, are within walking distance, allowing great use out of the wood-burning stoves. If you’re cheese-obsessed, this is a great launching point to visit Bellwether Farms and Cow Girl Creamery. 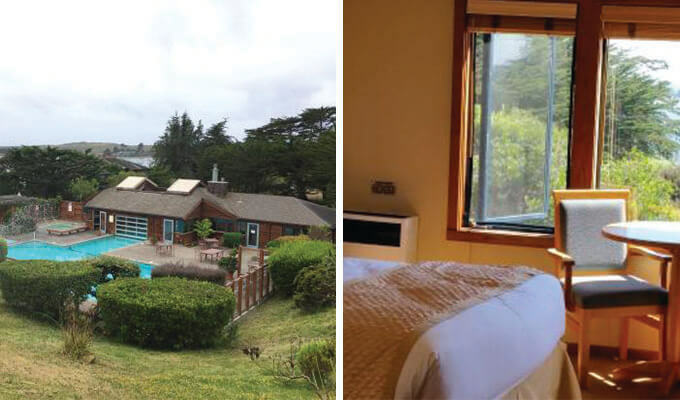 Atop a hill at the end of a long and winding road sits Fort Ross Lodge, offering 16 oceanfront lodges and several more private, adults-only rooms across the street. The remote location is a bit secluded (for those seeking a true getaway), and offers scenic views from atop the rocky cliffs out onto the ocean. Be on the lookout for the cove where seals often lounge during the day. Stop by a local grocer across the street for some fare fire-ready fare—each room has its own charcoal grill on the patio.